Last weekend I was away in Derbyshire with some friends. 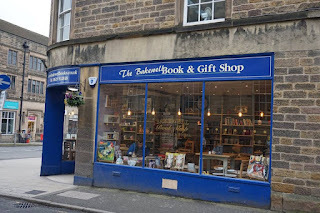 We went to Bakewell one day and Ashbourne another day, and wandered round into the gift shops, book shops, and charity shops. 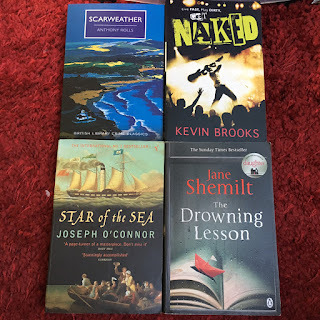 I bought four books so thought I'd do a quick post of them. My friend Steph took this photo. I've been in this book shop before and loved it. They have a good YA section! I've seen this kind of mystery book, wrapped in brown paper, before, but have never bought one. 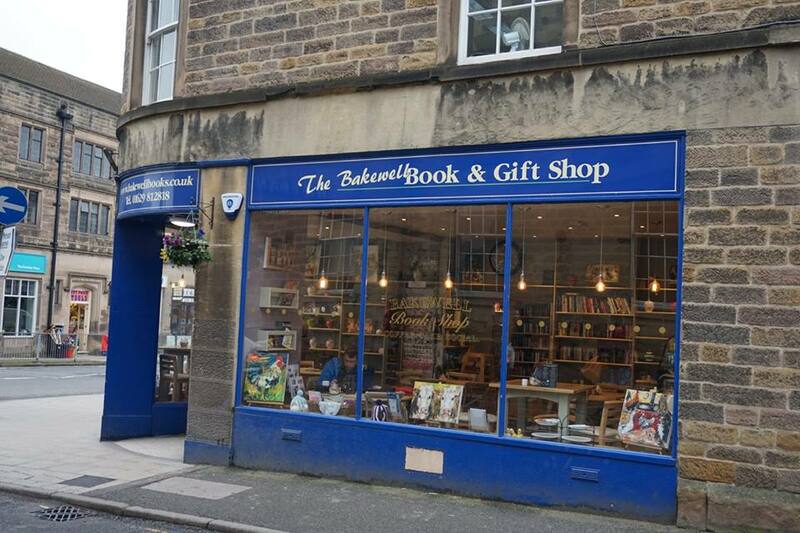 This book shop, shown below, had a basket of ten wrapped books in it. We all looked through them and three of us bought one. This was the one that appealed to me the most. And this was the book inside the wrapping. It looks really interesting! It's set on the east coast which is home to some of my favourite places ever, including Whitby and Scarborough. These are all the books I bought. I bought Naked in the same book shop as above. I like Kevin Brooks and I love books about music, so this is perfect for me. 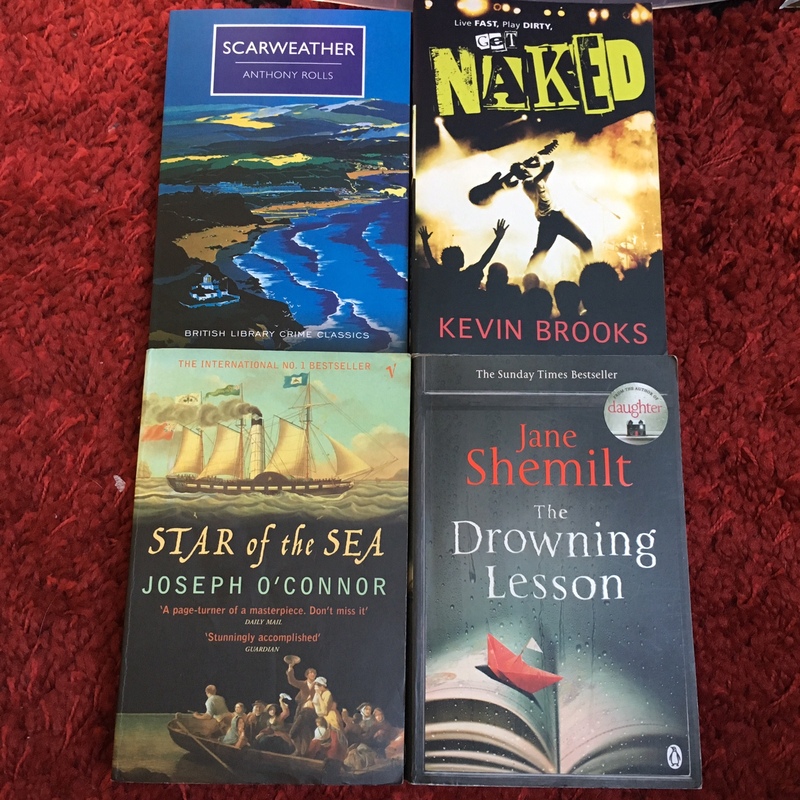 I bought Star of the Sea and The Drowning Lesson in a charity shop in Ashbourne, I think it was a British Heart Foundation one. I've read Star of the Sea before, but it was about twelve years ago. I'm looking forward to rereading it! I liked Daughter by Jane Shemilt, so I thought I'd give this one a go too. These were just £2 each!